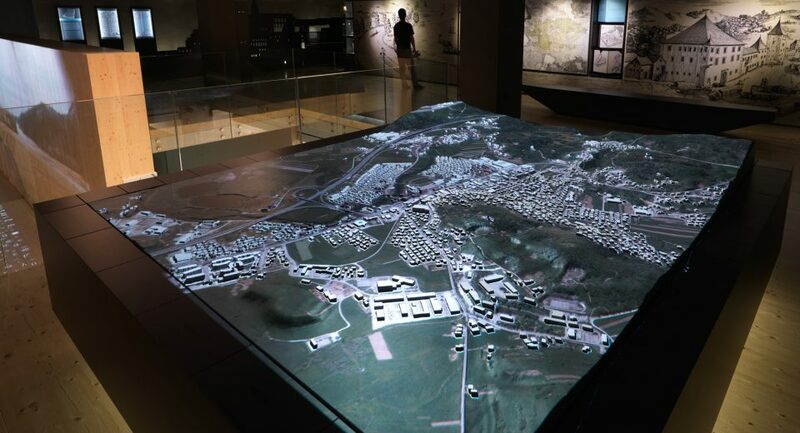 Ljubljanica River Exhibition is dedicated to the natural and cultural heritage of the Ljubljanica river and its immediate surroundings. It is located in the town of Vrhnika, where this fascinating river has several of its many springs. 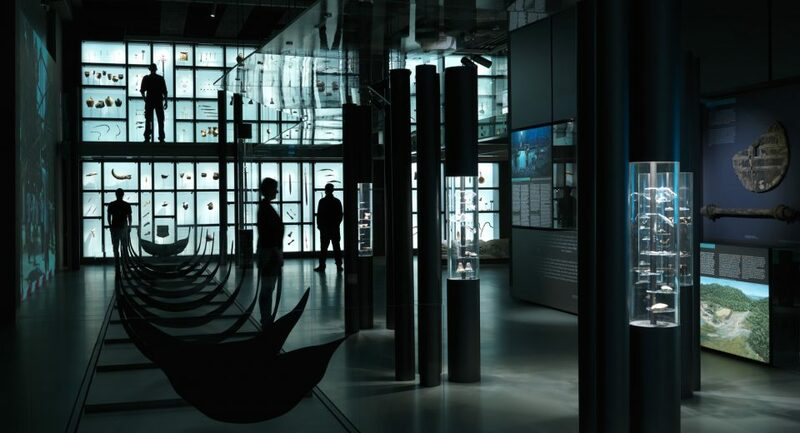 The exhibition covers the period of the last 40.000 years, starting with the replica of a wooden arrowhead, found here and presumably used by the Neanderthals. 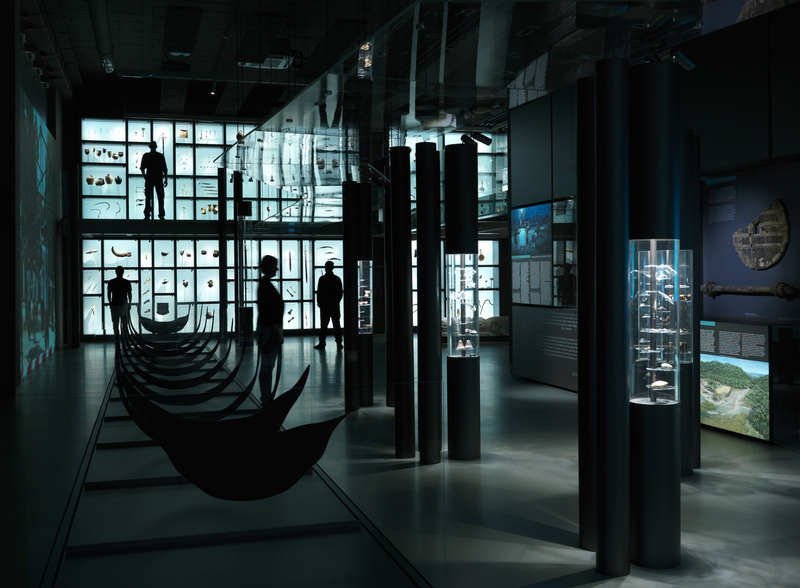 Many of the artefacts presented were found in the Ljubljana Moors, whose prehistoric pile dwellings legacy is included in the the UNESCO World Heritage List. Open from Tuesday to Sunday, from 10:00 to 18:00. Visits can be arranged for groups booked in advance. 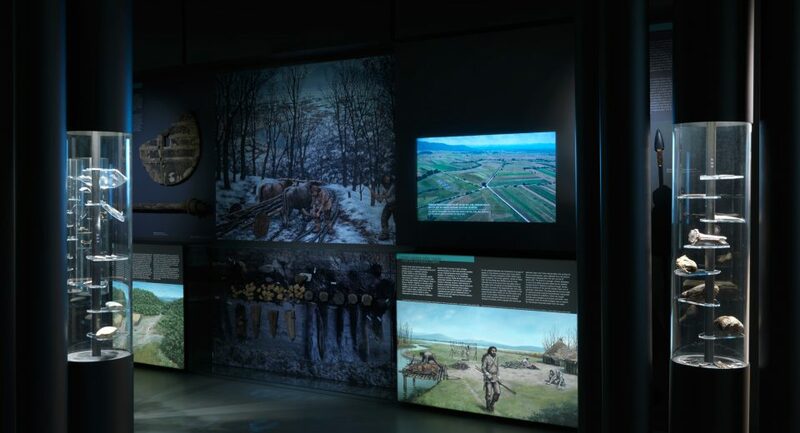 Holders of the Ljubljana Card can visit the exhibition free-of-charge. Vrhnika is situated on the edge of Ljubljana marshes, only 22 km from Ljubljana, next to main road Ljubljana-Postojna. From both directions it can be reached by highway A1; take the exit Vrhnika. The city is daily connected with Ljubljana via bus lines LPP no. 47 (Ljubljana-Brezovica-Vrhnika) and no. 48 (Ljubljana-Brezovica-Vrhnika-Logatec). Long distance bus services also lead to several other major Slovenian cities. Find your connection here: https://www.ap-ljubljana.si/en/.  Bus station is situated 10 minutes away from Vrhnika Cultural center, where our exhibition is located. In 2014 the premises of a former leather factory (IUV Vrhnika) opened its doors as the new Vrhnika Cultural Centre. 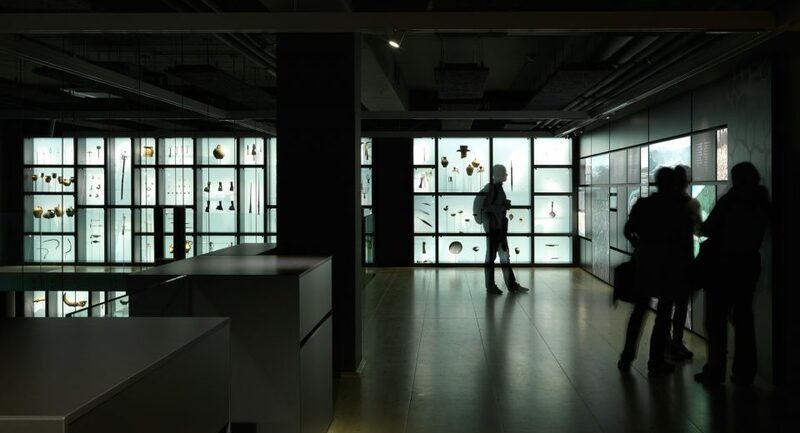 While its upper floors host a library and a part of the local primary school, most of the ground floor is dedicated to the exhibition, which is spread across some 800 square meters. 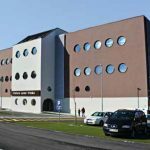 Cultural center is located at the edge of Vrhnika center, next to regional road that connects Ljubljana – Postojna. Parking place is in front of the building. 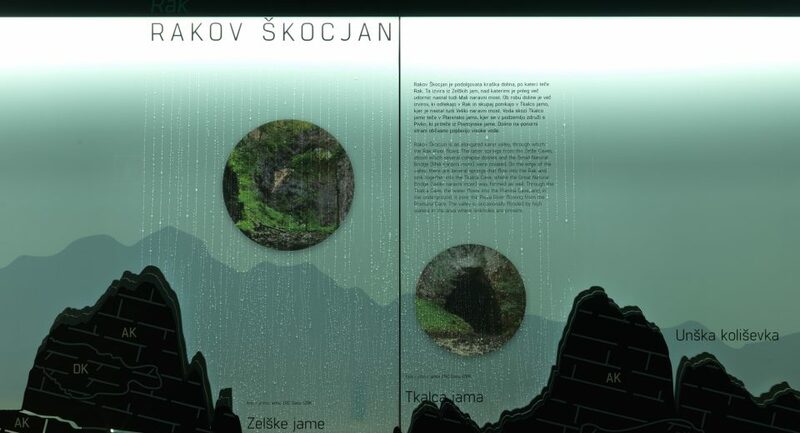 Ljubljanica River Exhibition represents cultural and natural heritage of Ljubljanica river and 3 worlds the river defines – underground karst world, world of the river bed and the world developted on river banks. Story of the exhibition starts with short presentation of Ljubljanica river basin, karst and Ljubljana marches region with geological evolvement of the area. Through chronologically presented stories we get to know the Mesolithic and prehistoric settlements, the Roman period and the Early Middle Ages, up to and including modern history. Throughout this time Ljubljanica river had a very important role as the main traffic route in the area and source of energy for mills and sawmills. After second world war its role was reduced to waste channel. Story is rounded with Zero waste strategy and the intention of raising public awareness about sustainable development and conservation of natural and cultural heritage.